What is the Smart Manufacturing Summit? 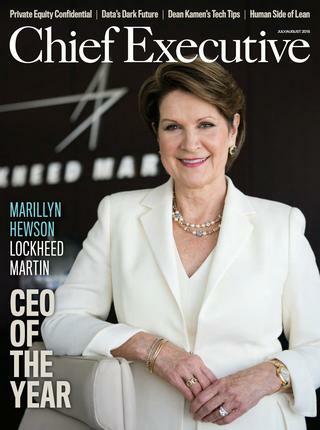 Chief Executive Group is the publisher of Chief Executive magazine, a national bi-monthly publication that reaches 91% of the CEOs who run companies with more than $50 million per year and represent 70.2% of the private economy in the U.S.
Chief Executive supplements their print publication with digital outreach, CEO peer groups, and CEO events including industry-focused events such as their annual Smart Manufacturing Summit. Before coming to Texas for 2019, prior successful SMS events have been held at other highly-symbolic, important American manufacturing icons like Ford Motor Company (Dearborn, MI), Caterpillar (Peoria, IL), Cummins Engine (Columbus, IN), Harley Davidson (Milwaukee, WI), The Boeing Company (Seattle, WA) and Honda Motor Company (Columbus, OH). Peer-to-peer networking providing rich opportunities to share best practices, principles and processes for managing continuous change. Forward-looking insights from manufacturing pioneers and global powerhouses including the CEOs of Siemens US, Emerson Electric, UniCarriers and other top leaders who will hone a CEO’s ability to see around corners and anticipate smart manufacturing’s next iteration. Exclusive facility tours of Peterbilt, UNT Additive Manufacturing Lab, AllianceTexas and more offering a behind-the-scenes look at cutting-edge advancements and an insider’s view of how leading organizations do what they do best. Texas Consilium has partnered with Chief Executive to bring their 7th Annual Smart Manufacturing Summit to Texas for the first time in May 2019.